According to a statement issued on behalf of the makers, after the CBFC reviewed the film, a screening of Aiyaary was held for the Ministry of Defence last week on the censor board’s instruction.The screening resulted in prescribed modifications to the film, following which Aiyaary received a U/A certificate from the CBFC.Director Neeraj Pandey took to Twitter to share a photograph of the censor certificate.”Finally… this just arrived. All cleared for ‘Aiyaary’Thank you CBFC India. Thank you MOD. See you on February 16 in cinemas near you,” Pandey wrote. Set against the backdrop of army, the film features Sidharth Malhotra and Manoj Bajpayee playing the roles of army officers over a storyline that brings to the forefront corruption within the system.Manoj shared his happiness on social media, too. “That’s a green light for Aiyaary with no more pit-stops along the way! 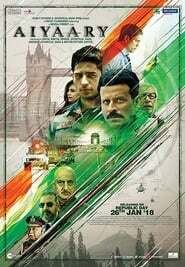 Thank you CBFC India and MOD,” he wrote.Actress Rakul Preet Singh said: “And it’s a smooth road ahead to Aiyaary.”It also features Anupam Kher, Naseeruddin Shah, Rakul Preet Singh and Pooja Chopra in pivotal roles. Plan C, Friday Filmworks and Jayantilal Gada (Pen) are presenting the movie.